Prof. Xiaojun Wang is the chief of plastic surgery department at Peking Union Medical College Hospital. She has cultured more than ten master and doctor students, mainly focusing on the keloid formation and treatment as well as keloid research. She is the first researcher in China to explore the impact of blood flow in keloid formation and successfully utilized that in treating keloid lesions. She is the recipient of several grants and awards from the Natural Science Foundation of China. She is the author of more than 30 scientific papers in keloid research. Prof. Wang worked as a plastic surgeon for more than 30 years. Besides keloid research, she also focuses on the basic and clinical research in the field of breast reconstruction immediately after mastectomy, plastic surgery for localized scleroderma, external ear reconstruction and facial rejuvenation. She is a three-times recipient of the medical achievement award and has been invited for consultation in many parts of China. 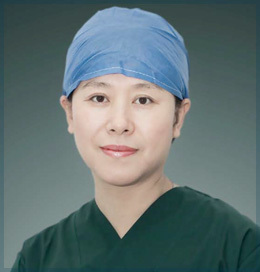 She is member of several Chinese medical associations and plays an important role in research in the field of plastic surgery. (6) Zhang MZ, Liu YF, Ding N, Zhao PX, Zhang X, Liu MY, Huang JN, Long X, Wang XJ*, Wang YB, Zheng Q. 2-Methoxyestradiol improves the apoptosis level in keloid fibroblasts through caspase-dependent mechanisms in vitro. Am J Transl Res. 2018,10(12):4017-4029.